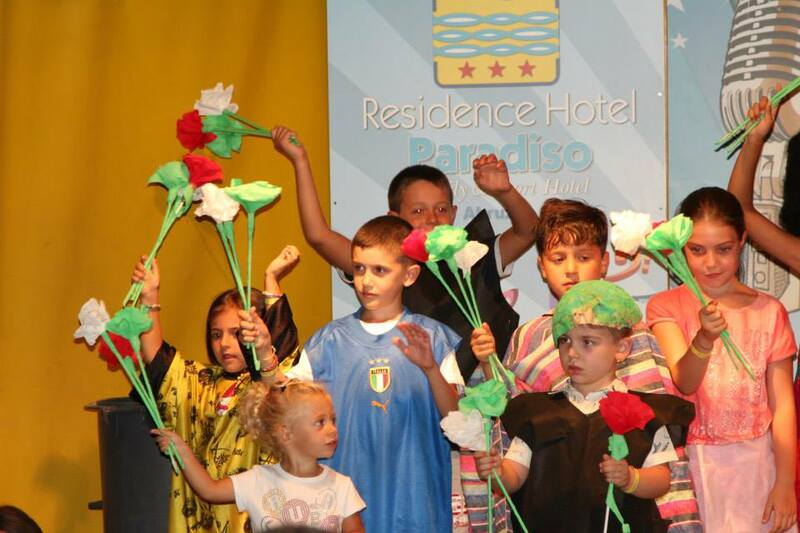 Use the form below to contact accommodation Residence Hotel Paradiso directly. A small “paradise” village for children and families. Hotels and apartments are set in an oasis of green just 200 mt. away from the sandy beach, gently sloping to the sea. 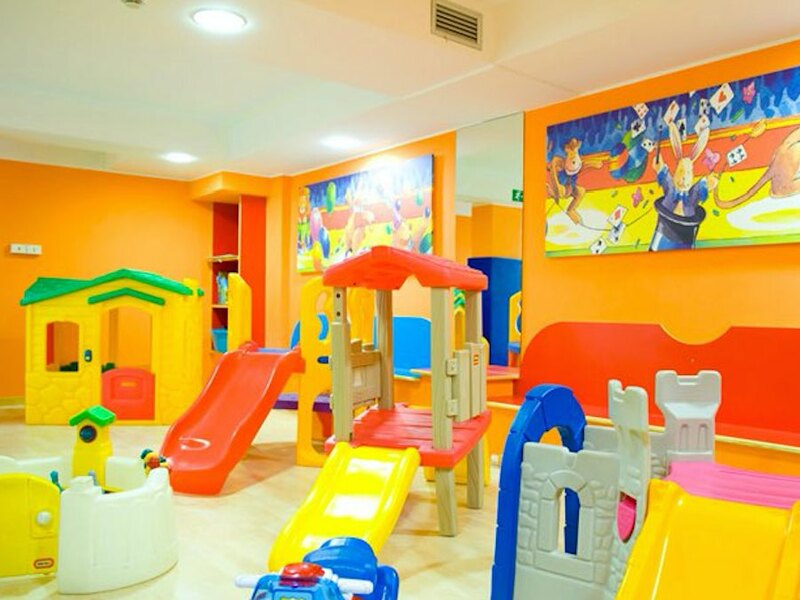 The rooms and restaurant are equipped with air conditioning, there are 2 outdoor pools, 2 hot tubs, 2 tennis courts, gym, disco, an internet point, free WI-FI, and awsome entertainment in the kids club. – a beach equipped with plastic toys. We have rooms with small kitchenette, cots, bed rails, baby bathtubs, high chairs for the table, bottle warmers, sterilizers, changing tables, strollers, bicycles with child seats and children’s bikes. 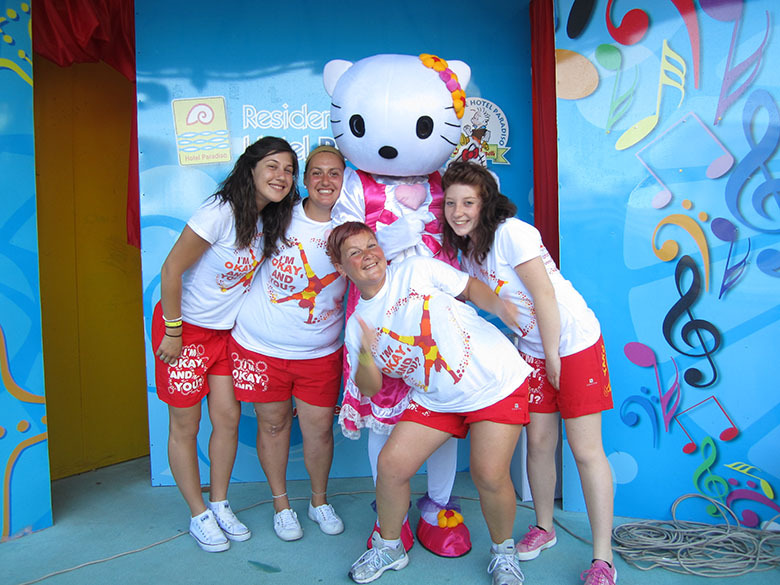 there is the “Cub Club”, where our animators organize games, shows and sporting activities. We also realize the “Newspaper Cub”, for your little ones, and you can get in for free. 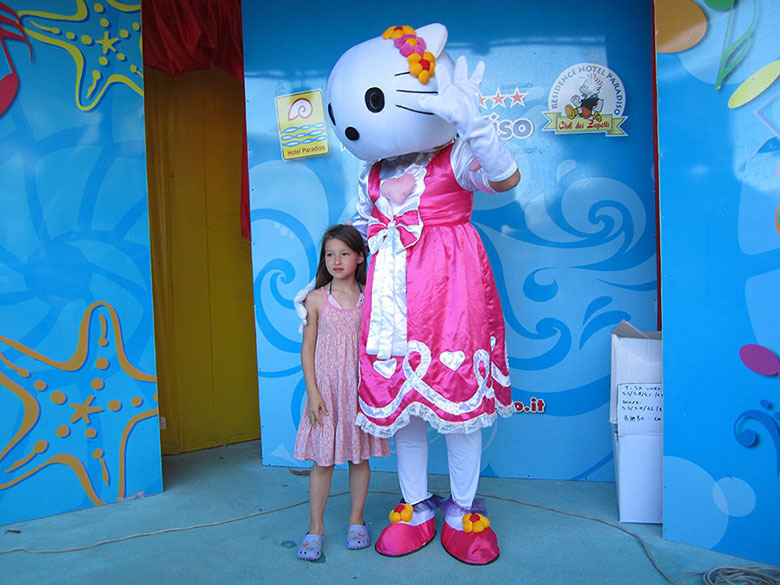 Also, during the period of our “weeks of Smiles” we apply special discounts to children with gratuity up to 3 years. 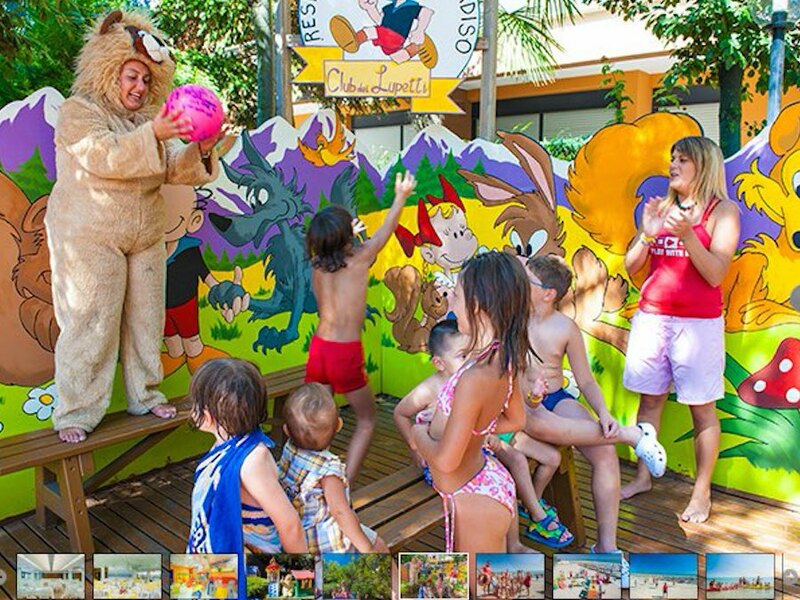 There are lots of special features and equpiments for the children, please contact our Hotel. The garden is a truly green oasis; its maritime pine trees, palms and magnolias give cool relaxation even on the sunniest days. 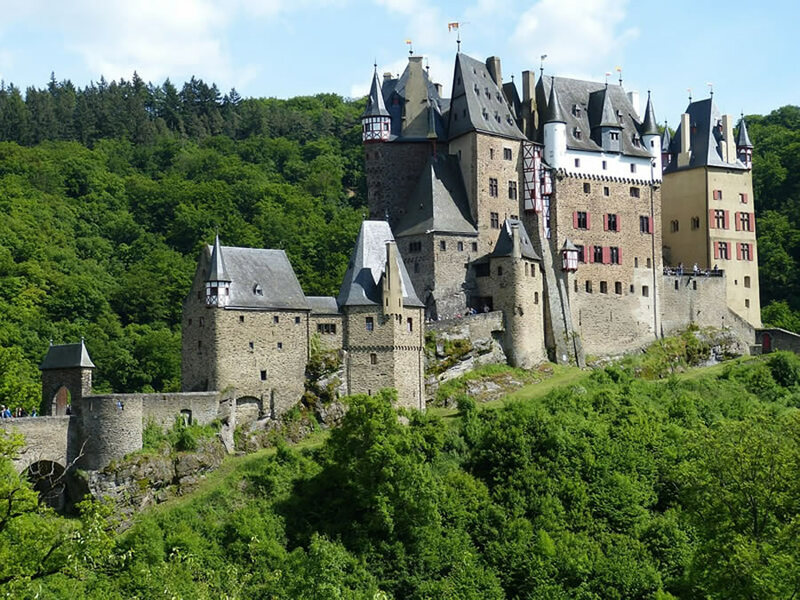 The playground occupies a large part of the garden; there you can find castles, little houses, swings, soccer tables and ping-pong tables to the delight of your children and teens. Relaxation is not missing here in Paradiso, and for those who want to take a short rest, we suggest trying our hammocks, which are waiting for you in the pinewood. The Abruzzo region lies about 75 km (48 miles) east of Rome. 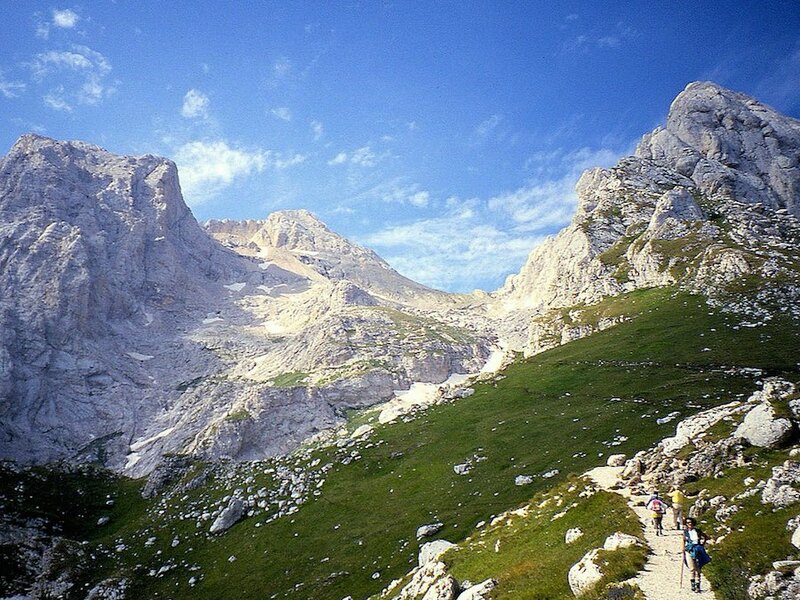 Abruzzo is one of the most greenest regions in Europe. Your family will enjoy the three national parks, one regional park, and 38 protected nature reserves. More than 75% of Europe’s living animals and rare species are living here. Among these you can see the golden eagle, the chamois, and the brown bear. A lot to see for families with little children. The climate is strongly influenced by the Apennine Mountains. 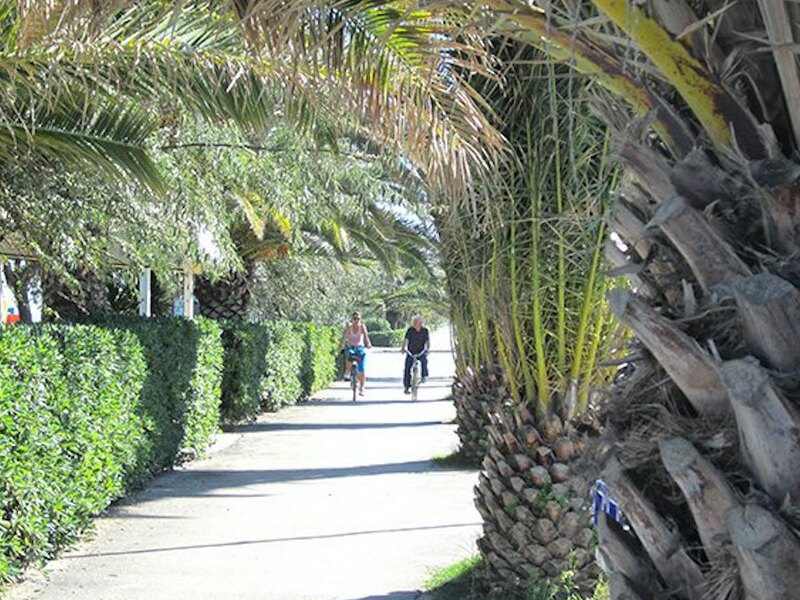 The coastal areas have a typical mediterranean weather with hot dry summers and smooth mild winters. When going up into the mountains the temperatures progressively decrease with increasing altitude and precipitation with altitude. 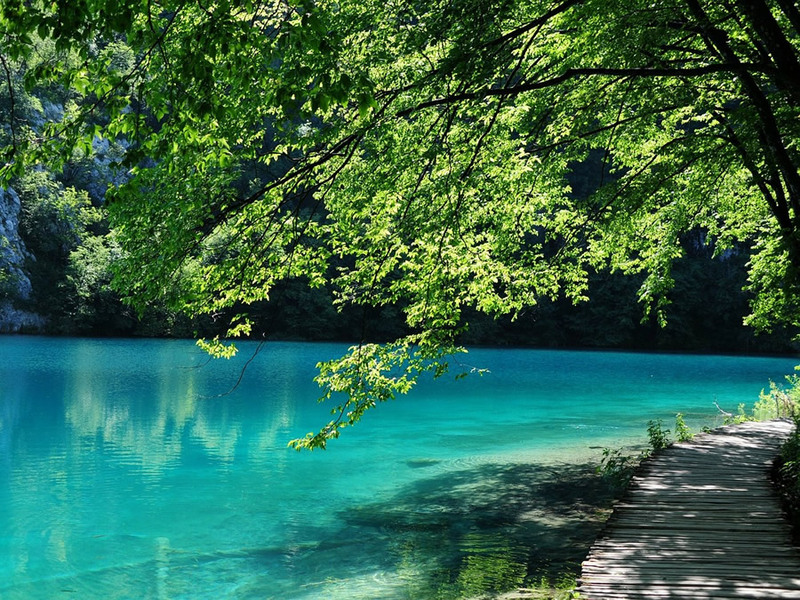 One of the most beautiful natural parks of the region are the Abruzzo National Park, the Gran Sasso and Monti della Laga National Park, the Maiella National Park and the Sirente-Velino Regional Park. The Abruzzo region can be reached quite easily via its Abruzzo International Airport. Several international airlines including low-cost flights from Ryan air connect to the rest of Europe. The Road and motorway network in the Abruzzo region are very well developed, with three highways that connect the region the region to the rest of Italy. The Abruzzo region has a beautiful sandy beach ideal for families with children. A lot of cosy familyhotels will make your stay a relaxing holiday. And in the winter please, travel to the mountains ski resorts. Simple but comfortable and not overcrowded villages. Renowned for its variety Abruzzos cuisine is one of the best in Italy. 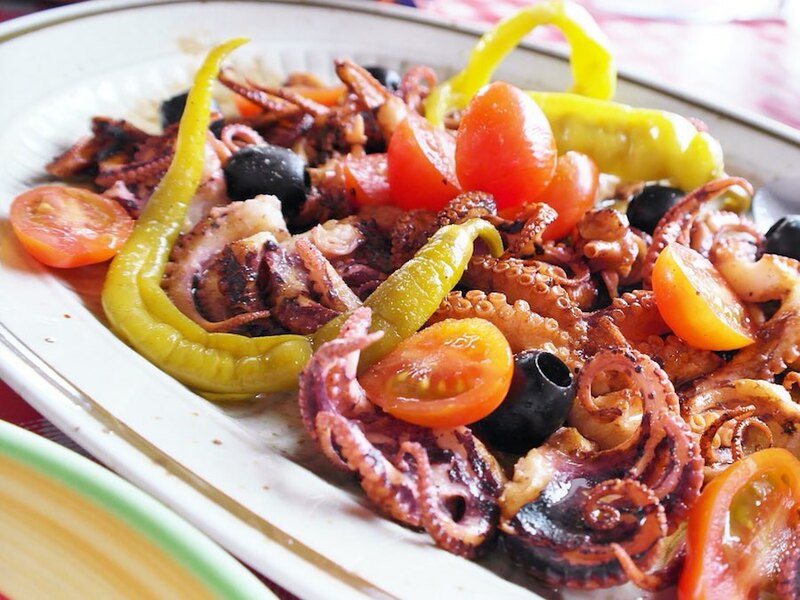 In 2013 an Italian organization showed that Abruzzo is the best Italian region to eat in. Both the agricultural and coastal aspects of Abruzzo have contributed to its cuisine. Due to the mountains, Abruzzo was for a long time isolated from international influence. This helped to keep the region’s cuisine unique. So, what are You waiting for? 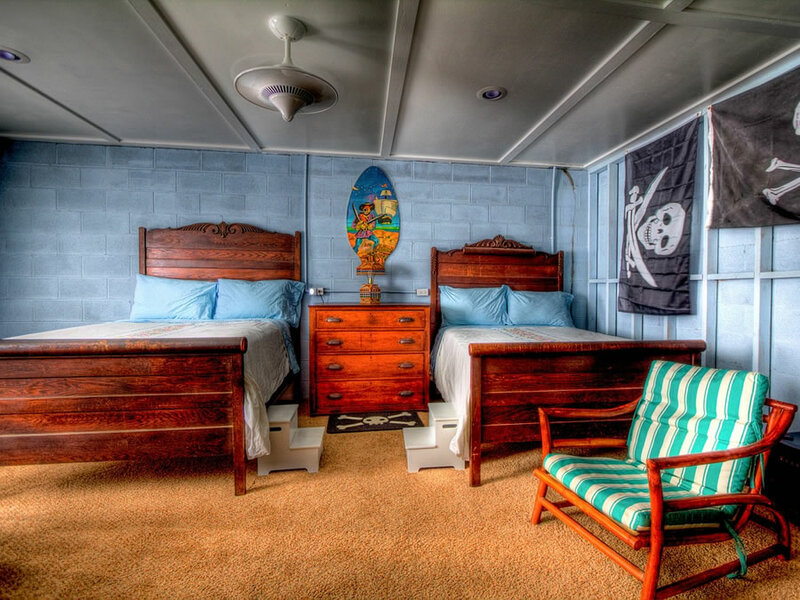 Come with your family and children and stay with us! 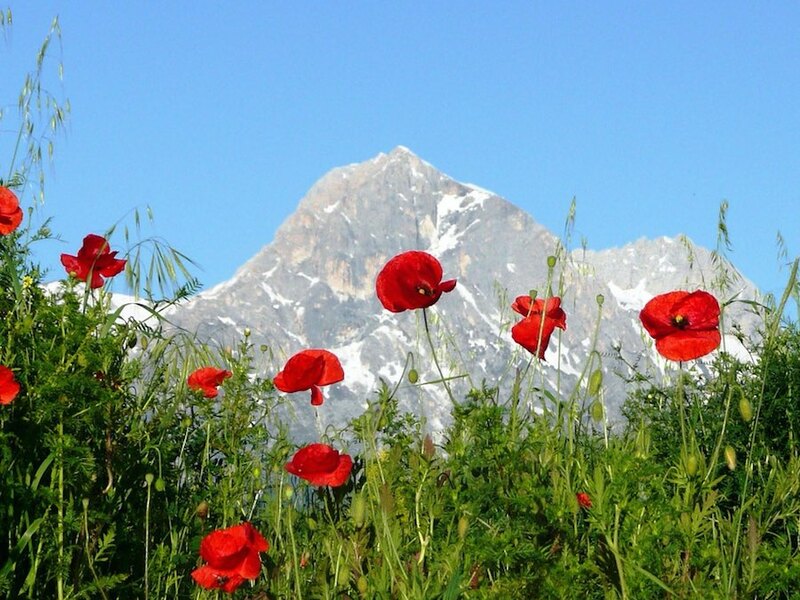 Abruzzo's vegetation is characterized by the presence of different Mediterranean ecosystems. The coast and the surrounding areas are characterized by the presence of typical plants of Mediterranean shrubland, such as myrtle, heather and other, while in the hilly areas other species grow, including olive, pine, willow, oak, poplar, alder, arbutus, broom, acacia, capers, rosemary, hawthorn, licorice and almond trees, interspersed with oak trees. At elevations between 600 and 1,000 metres (2,000 and 3,300 ft) there is sub-montane vegetation, mainly characterized by mixed forests of oak and turkey oak, maple and hornbeam; shrubs include dog rose and red juniper. Elevations between 1,000 and 1,900 metres (3,300 and 6,200 ft) are dominated by beech trees. In the Apennine Mountains at elevations above 2,000 metres (6,600 ft) species include the Abruzzo edelweiss! The coast in Abruzzo is 129 kilometers long and famous as a tourist bathing resort. Many of the tourist resorts have the privilege and prestige of being appointed by the Blue Flag certification for water quality and services. You will find a rich culinary tradition, with various traditions attached to each province. On the coast, most first courses are fish-based, often made with tomatoes to enrich the taste of "poor man's fish," often found on the shores of ancient fishing villages. 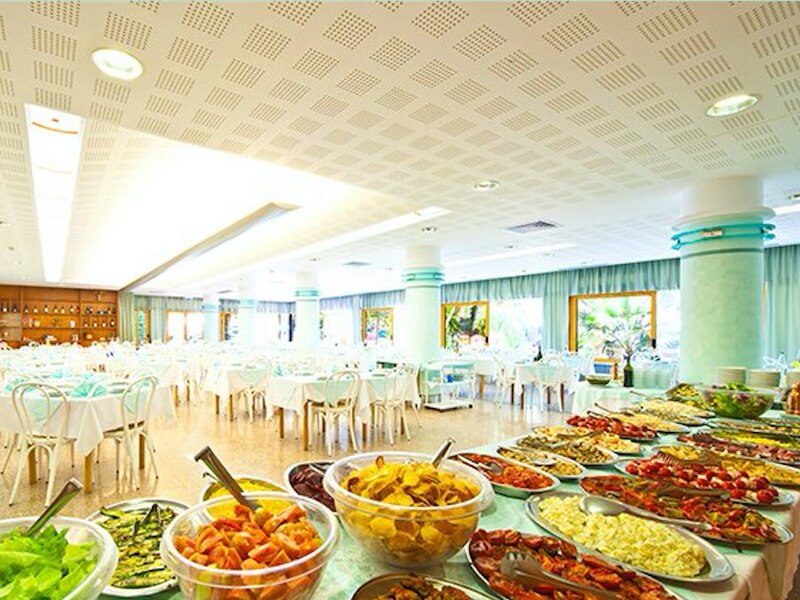 As for the second courses, the typical recipe of Chieti is scapece, pickled fried fish. Guazzettoor fish broth is also mostly consumed in coastal areas and villages, and sometimes in the Teramo Province. moving to the country side, one will find a good choice of lamb, and mutton. Pork loin, prosciutto, ventricina and other typical salamis are produced locally. If you are looking for these things, then you have come to the right place. A typical meal in Abruzzo is accompanied by a selection of locally produced wines: Montepulciano, Sangiovese and Trebbiano are the most known. Abruzzo also features a number of organic or BIO wineries in the area of Chieti and Teramo. The most artistically important town in the region is L’Aquila, located near the Gran Sasso. 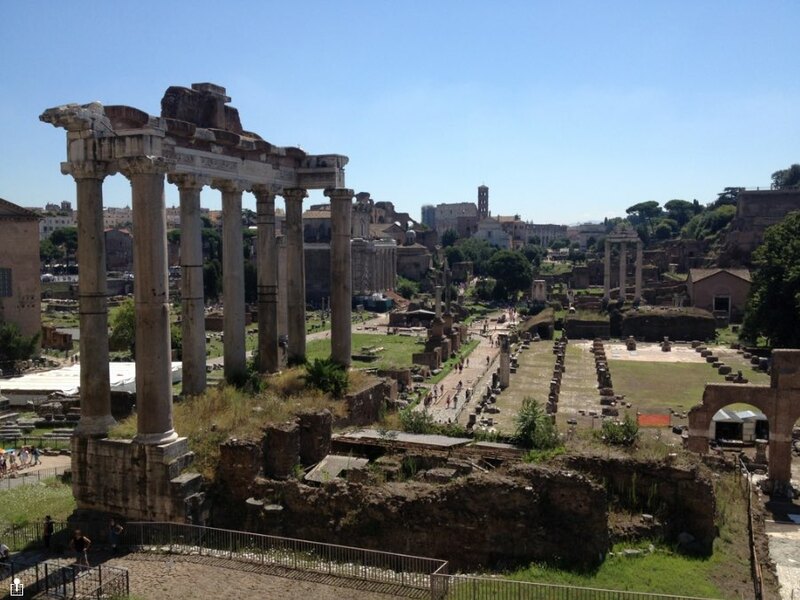 This city, famous for “the Celestine Pardon,” offers endless routes to the discovery of history, art and faith. Unfortunately, the earthquake of April 6th, 2009 struck this city and the surrounding area, causing enormous damages to its nice artistic treasures. 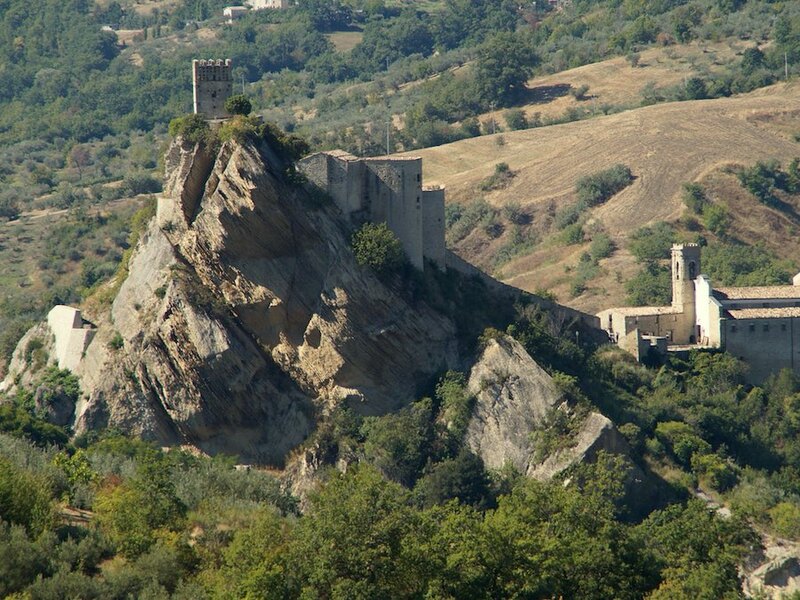 In the Province of Aquila, the famous Castello di Celano- today the home of the Museum of Archaeology and Sacred Art - and the remains of the ancient Roman city of Alba Fucens are just some of the numerous testimonies narrating the long and complex history of Abruzzo. But one of the most picturesque towns is Scanno, located near an enchanting lake in the Sangro Valley, with its narrow alleys, Baroque gateways and old buildings. Sulmona, the hometown of poet Ovidio, is equally-rich in history, traditions and artistic treasures, including the famous Hermitage of Pope Celestine V.
Long Stay Promotion Valid all Summer 2015 For stays of three or more weeks, we apply a special 5% discount on the total board. Apartments based on room only: allowing guests to remain independent, whilst enjoying the facilities and services of the complex. 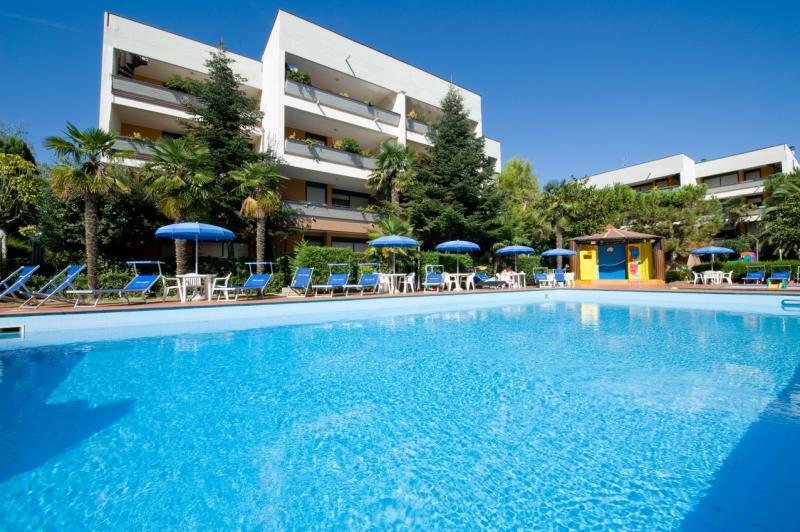 The Apartments have large balconies overlooking the swimming pools, while the ones on the ground floor have a private garden. 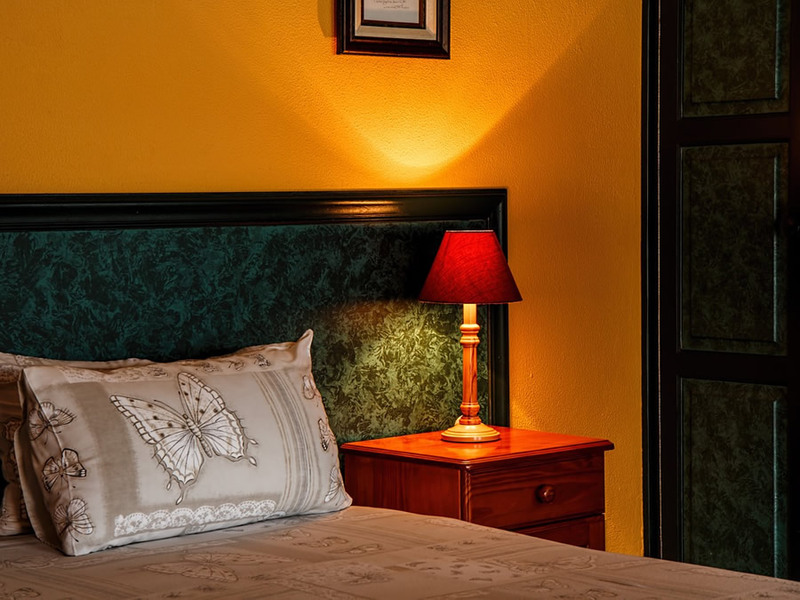 All apartments are equipped with colour sat-TV, electronic safe, hairdryer, ceiling fans in the bedrooms and living room, direct telephone line and free wireless connection. The swimming pools are placed at the centre of the complex; one is large with a diving board, the other is devoted to children, it is smaller and has a little slide. The Jacuzzis are placed on a large terrace where you can sunbathe in total relaxation. The terrace has sun beds and a giant chessboard to let you enjoy a game in the sunshine. The Residence is located inside the complex and its apartments offer the opportunity to combine the convenience of a “home” with the services of a “hotel”. There are two different apartment types, and it is possible to choose between different board types. Our private beach is located only 200 metres from the complex and is equipped with sunshades, sun beds, changing rooms and hot showers. Children games to keep your children occupied while you relax. Bowling lawn, to challenge your friends on the sand. 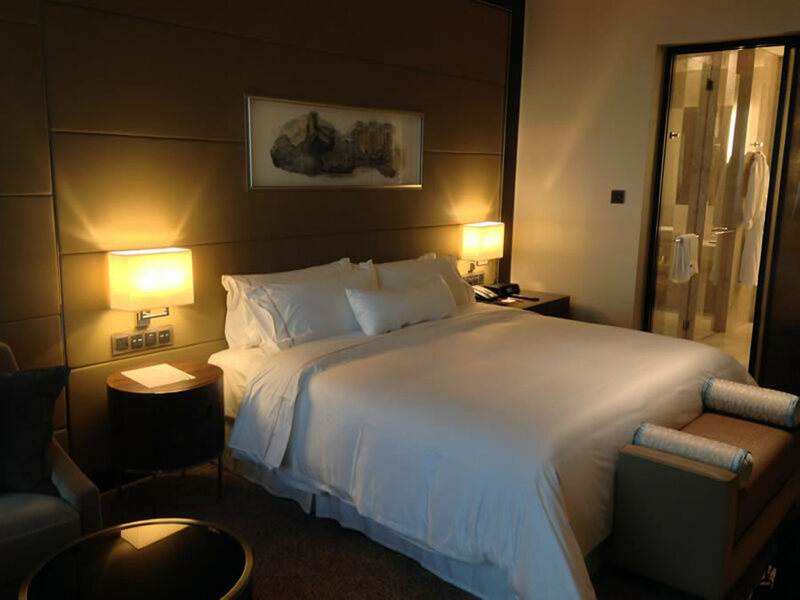 The Hotel rooms are very spacious and can accommodate up to 4 beds per room. 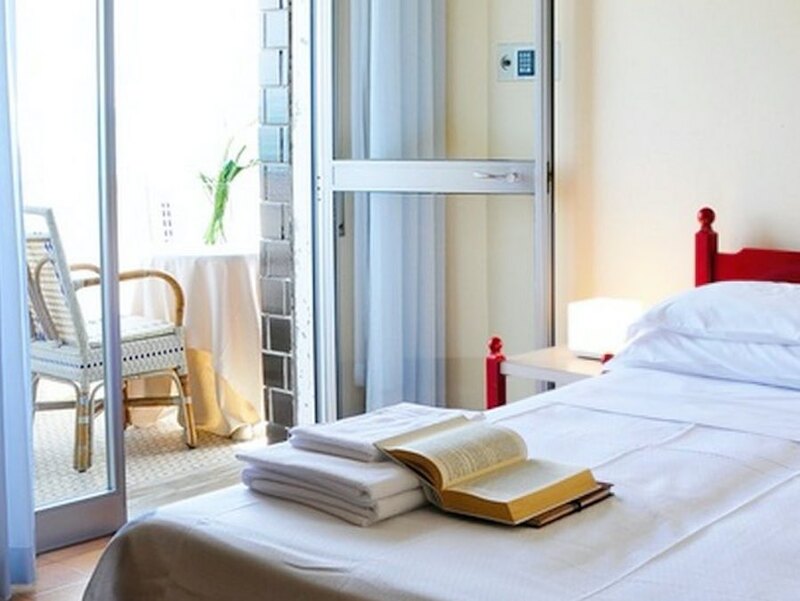 They are equipped with a wide balcony, a bathroom with shower, hairdryer, air conditioning, colour sat-TV, fridge, electric shutters, electronic safe, direct telephone line and free wireless connection. The cycling and pedestrian track links northbound Villarosa with Martinsicuro. While southbound, thanks to the beautiful wood bridges that cross the rivers, it is possible to reach other towns such as Alba Adriatica, Tortoreto, Giulianova and Cologna. The route is approximately 30 km long. The track is bordered by palm trees, tamarisks, pine trees and rosebays and runs parallel to the sea, giving wonderful views. This track is part of a project launched by Abruzzi Region and called “Corridoio Verde dell’Adriatico” (Green aisle of the Adriatic Sea). It was wonderfully designed with the purpose of connecting all the Abruzzi’s seaside towns for a total of 140 Km. A small “paradise” village for children and families. Hotels and apartments are set in an oasis of green just 200 mt. away from the sandy beach, gently sloping to the sea. The rooms and re . . .